Take your picture holding your sign of choice and post your image using the hashtag #HireMeSC to Facebook, Instagram, or Twitter. Don't forget to write about your successes with or aspirations for employment in the copy of your post! 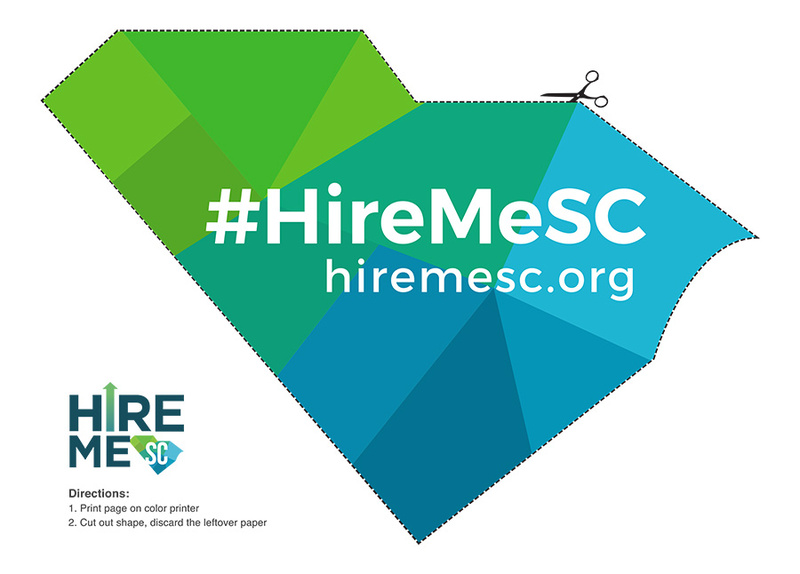 Download a version of the #HireMeSC sign with dotted lines for you to print and cut out. Download a version of the #HireMeSC sign for you to print (does not require cutting out).